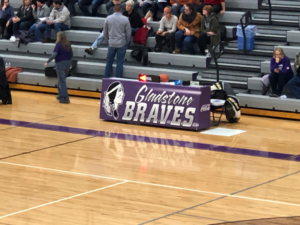 Gladstone, MI – December 4th, 2018 – It was basketball night in Gladstone as the Marquette Redettes faced the Gladstone Braves. It was Marquette’s first game of the season, and they looked to start out strong. Luke G. was there live to bring you all the action live on 97.5 GTO FM! The game started out slow, with the opening tip being taken by the Braves. The Marquette Redettes were unable to stop Gladstone from scoring first, but they answered back soon after. Thanks to some great passing, Marquette was able to stay just a few points behind the Braves for much of the quarter, and they tied the game at 5-5 going into the end of the first. 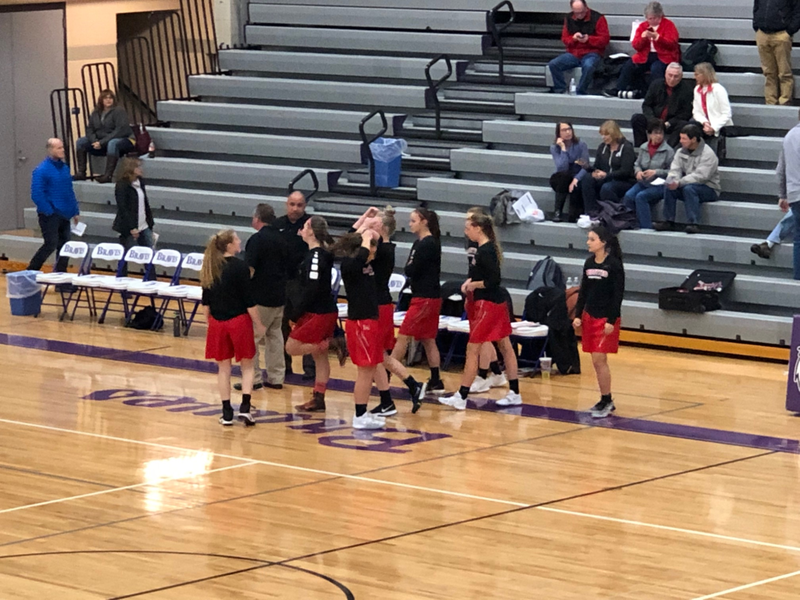 After a tightly contested first quarter, the Marquette Redettes were looking to break out and take the lead against the Gladstone Braves. That’s just what they did as they went on a huge scoring run through the first part of the quarter, eventually ending with a 20-8 lead with about four minutes left in the first half. The Braves narrowed their deficit to just 10 points, but they simply couldn’t contain the Redettes explosive speed and ball movement. 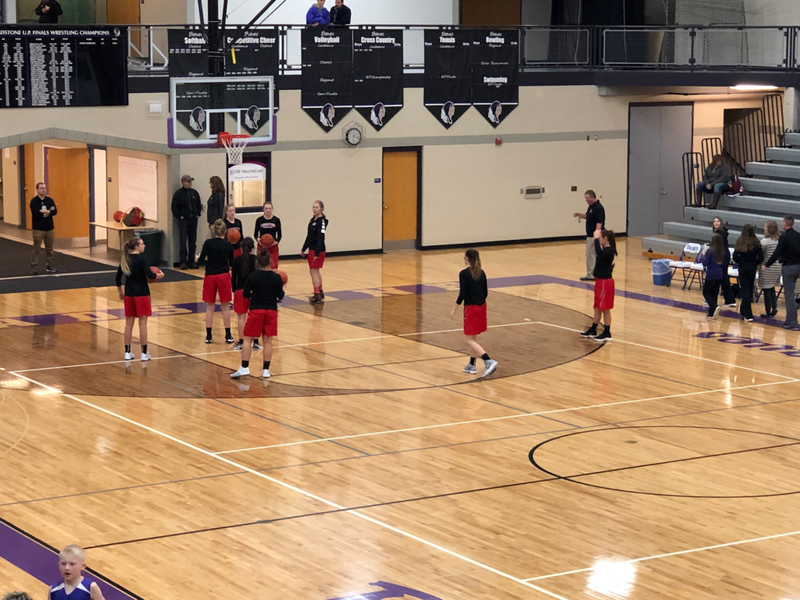 It was 26-14 in favor of Marquette with about one minute left in the half, and the Redettes did their best to keep Gladstone from adding any points to their first half score. 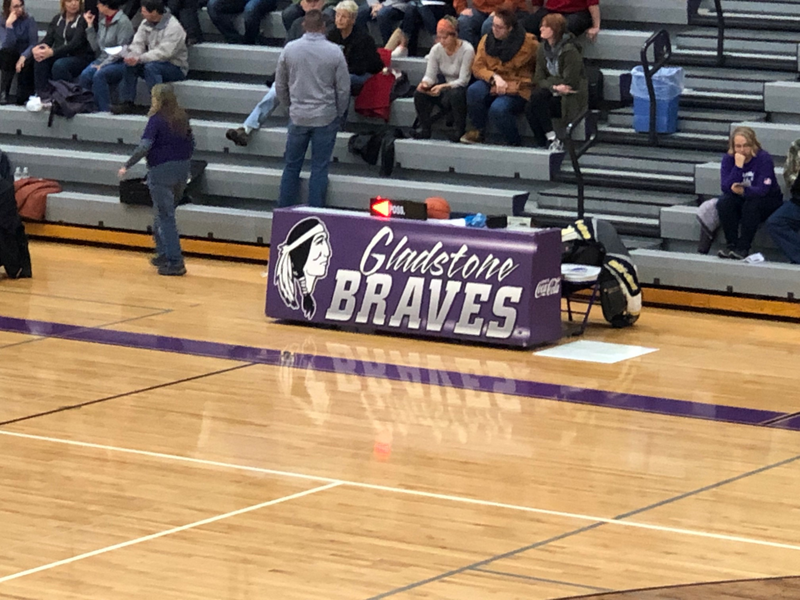 It felt like a safe lead for the Marquette Redettes, but the Gladstone Braves seemed to have discovered their defense, keeping Marquette’s lead below 15 for much of the first part of the second half. The ball was traded back and forth several times with the gap remaining at 15 as the quarter passed the halfway mark. It was 36-19 with just three minutes left, but the Redettes extended their lead to 38-19 on a jump shot through traffic. As the quarter wound down, Marquette had doubled the Braves’ score, and things looked good for the Redettes for the final quarter of play. 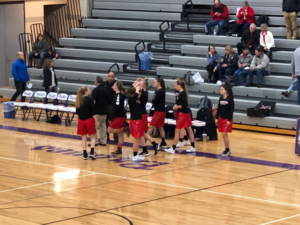 The Marquette Redettes only had to fend off the Braves for one more quarter as time started coming off the clock in the fourth. They had a hefty lead, and Marquette looked to control the ball to burn time off the scoreboard. Gladstone put in the first basket of the quarter, but it only made a small dent in the Redettes’ large lead. It was 49-27 with two minutes left in the game, and it looked as Marquette had all but sealed the win. It was a great start to the season, and the Marquette Redettes were ready for their next challenge.